Summer is so close and the hot temperatures, are already in full swing where I live, and I have NO desire to crank up my oven. Fantasies of islands that jut up from teal-blue waters with white, velvety sands, where breezes blow through palm fronds and whip through long, strapless sun-dresses, dance fluidly into my mind and wash my creativity in a soft shade of raspberry pink. “Creaminess”, “coolness”, “tartness”, “sweetness”—these are powerful words to describe the taste of Rasberry-Lemon-Cream combination and they play so very nicely together, especially in the daydreams of a parched, refreshment-seeking soul like mine. 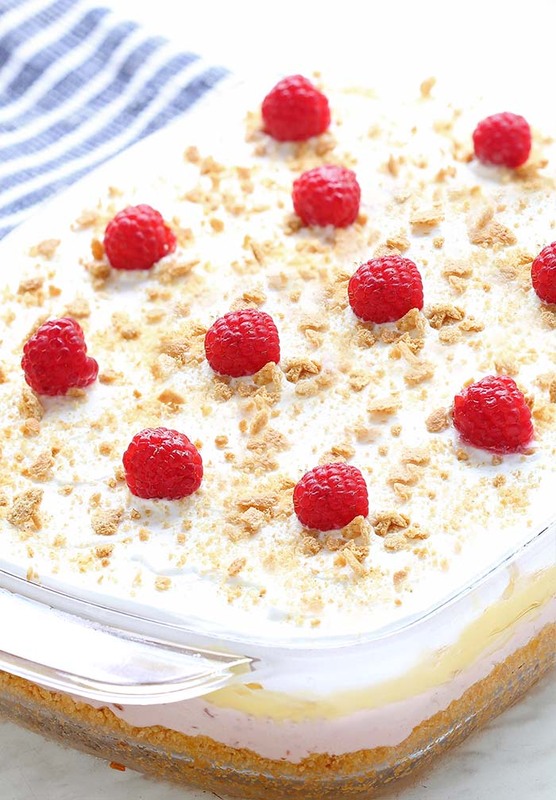 That’s where this No Bake Raspberry Cheesecake Lasagna comes into play! 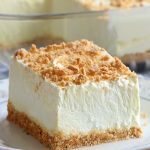 There’s very little preparation involved in this recipe, which makes it great for hot summer days or for crazy busy days. You can throw it together whenever you have time (even the day before is fine) and it will be ready and waiting for you in the refrigerator when you want a sweet treat! Check out those layers!! 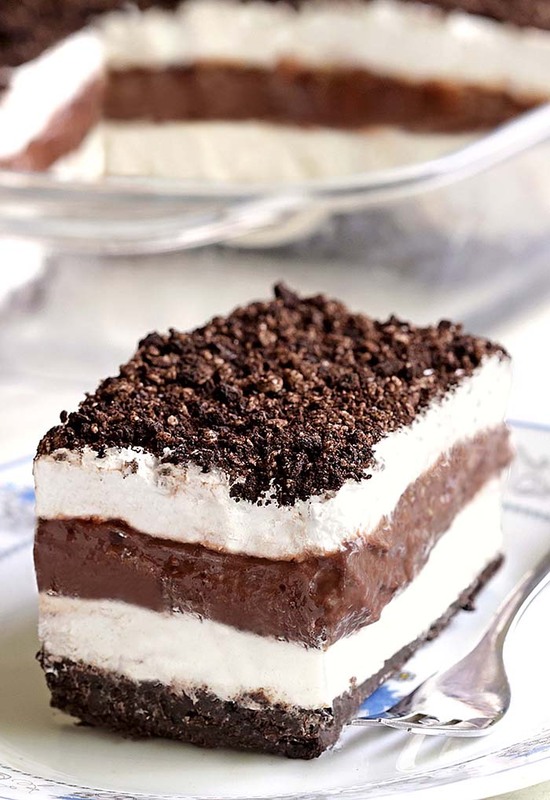 As I mentioned, this is a layered dessert, hence the reason why it’s called lasagna. 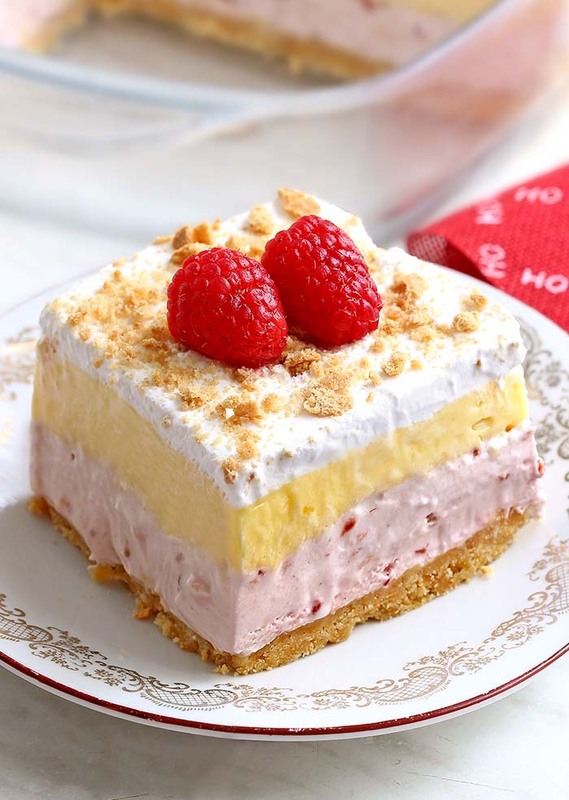 This has a Graham cracker base, raspberry cheesecake layer, lemon pudding layer and cool whip layer. Top it with a fresh raspberries and sprinkle with graham cracker crumbs and you’ll be getting rave reviews from everyone. No baking is required for this recipe, and it’s especially perfect during the warmer months since it’s a cool recipe. Also, the key to a great no-bake crust is letting it refrigerate for at least 30 minutes before topping it with the filling. CHILLING TIME: It’s important to allow at least 4 hours or overnight for this dessert to set in the refrigerator before serving. But trust me, it will be worth the wait! Even though this lasagna recipe is especially perfect for Spring and Summer, we love making it all year long. ???? We really enjoyed it and hope you do too! 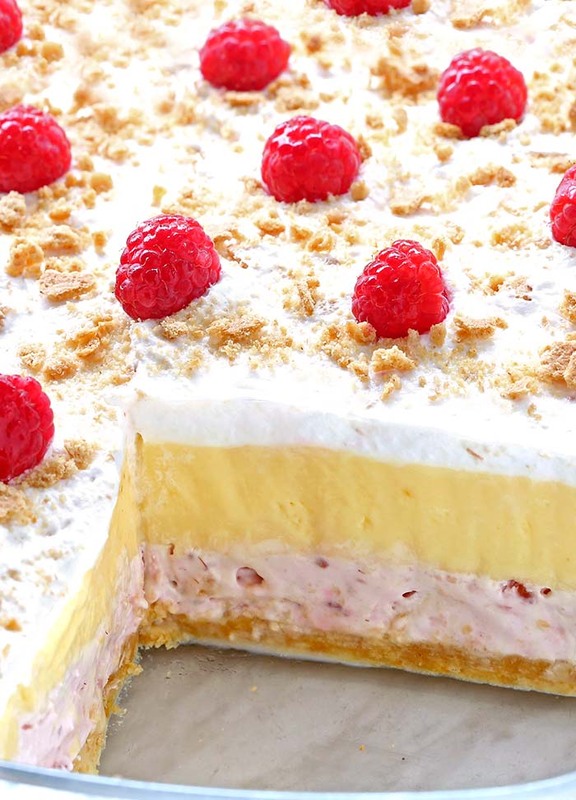 Turn your Raspberry Lemon Cheesecake dreams into reality. “Creaminess”, “coolness”, “tartness”, “sweetness” — these are powerful words to describe the taste of No Bake Raspberry Cheesecake Lasagna. In large bowl, combine the softened cream cheese, powdered sugar and jam with electric mixer on medium speed until smooth. Beat in 2 cups of the whipped topping. Spread over the cooled crust. In another medium bowl, beat dry pudding mixes and milk with whisk about 2 minutes or until thick. 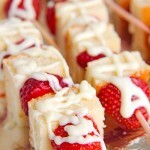 Spread over cream cheese mixture. Top with the remaining whipped topping and spread evenly. Refrigerate for at least 2 hours, preferably overnight. 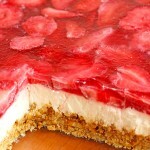 Top with the fresh raspberries, and sprinkle with graham cracker crumbs (you may not use it all), before serving. 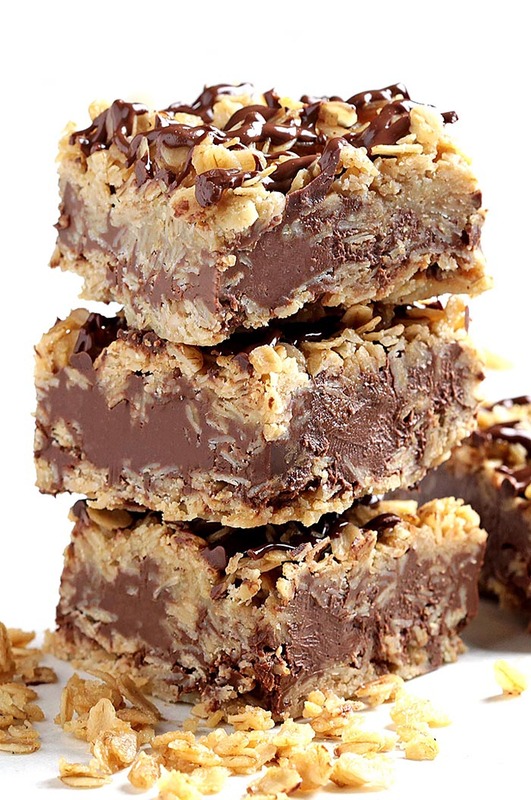 Craving more No Bake Recipes ? 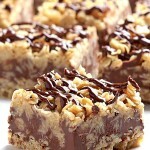 The only thing easier than making these No Bake Chocolate Oatmeal Bars is eating them….